To highlight the LG Optimus G as a leader in next-gen multitasking smartphones, WIRED created a custom content program designed to showcase “What’s Inside” the device that makes it special. 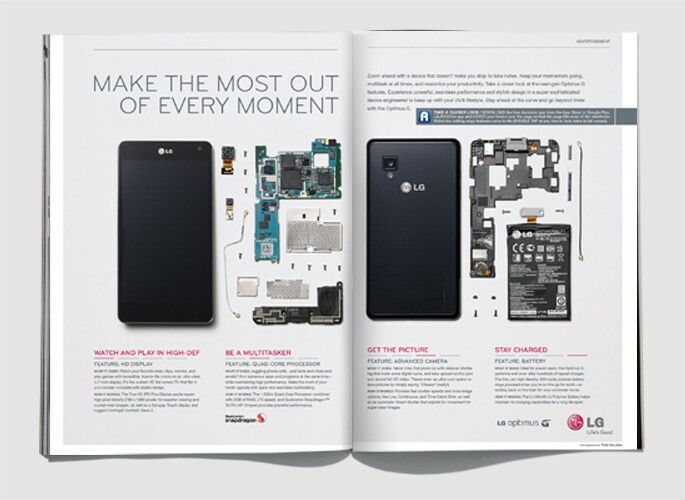 By aligning the LG Optimus G to WIRED’s editorial feature “What’s Inside” the community was able to develop trust with the execution right from the start. 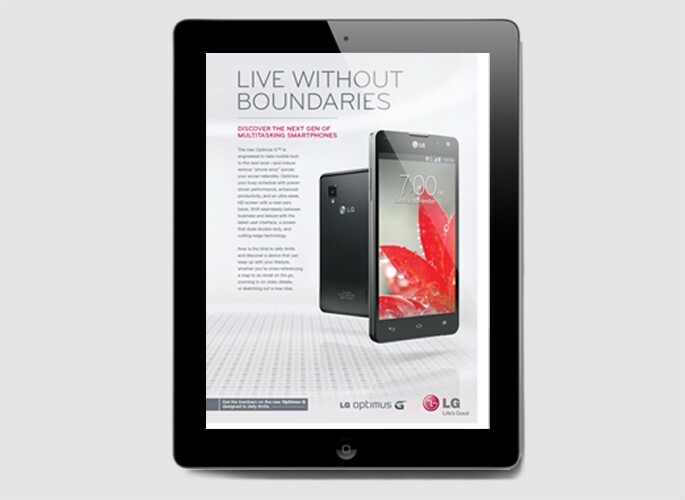 Print: Two high-impact custom print inserts highlighted the LG Optimus G during key holiday timing. December: A visually stunning 4-page gatefold invited readers to see “What’s Inside” the Optimus G via an exploded view showcasing key features of the device. January: A single-leaf-insert reinforced the brand messaging, spotlighting the phone and driving to LG.com. App Guide: The Optimus G was featured in WIRED’s annual App Guide, positioning the phone as an ideal device to help live without boundaries focusing on the phone’s HD display, camera and battery life. Tablet: In December’s digital edition a premium hot spot execution invited readers to tap to reveal additional information about “What’s Inside” the phone. Digital: On WIRED.com, the Optimus G was featured in two unique executions. 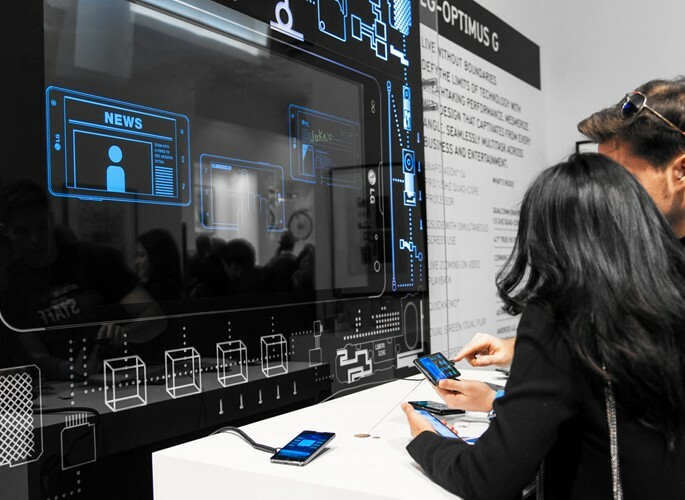 Within a custom billboard unit the dual screen feature of the Optimus G was shown, demonstrating the ability to slide from one screen to another with the swipe of a finger. A second billboard unit invited users to experience the QuickMemo™ feature. Users were invited to select an image, make notes with their finger and share socially. Live: LG Optimus G received a dedicated area in a highly trafficked location of the WIRED Store. The eye-catching space invited guests to enjoy optical art as they interacted with the phone. Beautifully displayed Optimus Gs activated a unique light show that showcased key components of the device. Smartphones linked to a dynamic video exploring the Optimus G’s hero features.